We all have our own self talk, and the truth is that it is not always positive. We’re affirming statements about ourselves and the condition of our life with every thought and word we speak. This is a daily habit that we practice subconsciously. To some degree, we are all using positive affirmations every day. As we begin to think about specific thoughts, over and over again, they become beliefs. We speak about these beliefs to others and even create the stories we tell from those beliefs. Soon enough, these beliefs become reality – and, the more we think and speak about them the realer they become. 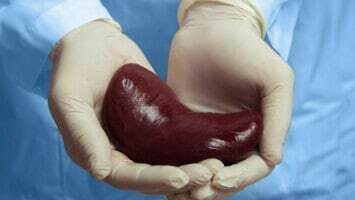 The condition of our health, wealth, relationships, etc. depends upon our habit of perception. When we change the perception of ourselves and our life to a more positive view consistently, our life TRANSFORMS. We are crafting ourselves and our future by the words we speak every single day. Instead of waiting for a miracle to come along and change our life, we need to take charge and start changing it right now. 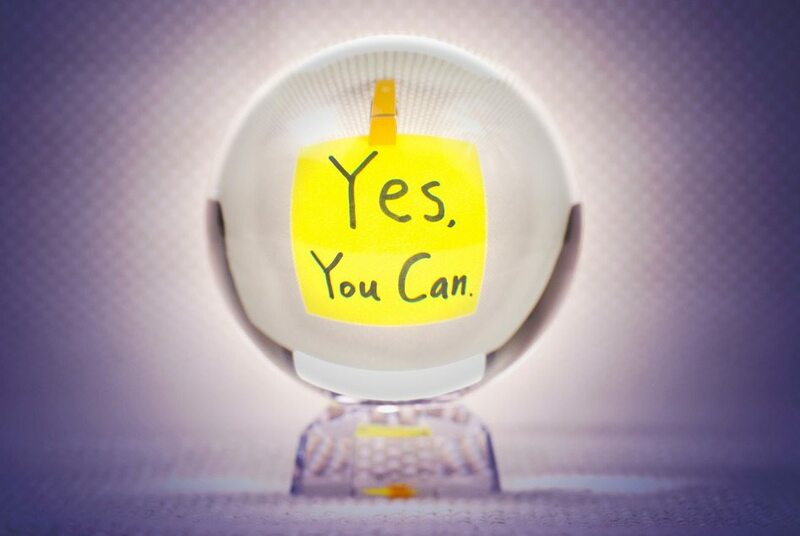 This may seem unrealistic to some, but practicing positive affirmations is life-changing. It’s simple, and it’s free, it just takes commitment and dedication. It starts with taking conscious control of our thoughts and habitually transforming self destructive, negative thoughts into positive affirmations. 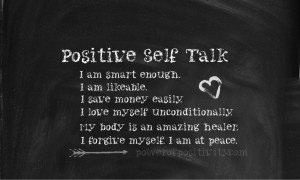 An affirmation is simply positive self talk or a statement we say about ourselves or our life phrased in the present tense as if it were true. When you find yourself caught in a negative thought pattern, just stop and immediately replace it with an opposite statement. As a mom, I have PBS on for my daughter. While I am writing this I hear, “When something seems bad, turn it around. Find something good.” on Daniel Tiger’s Neighborhood. Yes, it is really that easy. It’s all about shifting focus from the negative to the positive. Even if it is small steps at a time. When you make it a conscious habit, your begin making bigger and bigger changes over time. [quote_left]”The most crucial aspect of positive affirmations is your feeling. When you say the affirmation pay attention to what “feelings” are coming up.”[/quote_left]Affirmations work to help us change. In fact, they make change easier. They are the seeds we plant that eventually bloom – the more we take care, the better yield. Often times we think that action will solve our problems, and while action is critical to change, alone it will not provide real, lasting change. For the best results, you must first get into an agreement in mind and then follow with action. Having a positive outlook is vital to reaching your goals. Sometimes, when we start, we are so far from our goal that it is not easy to maintain a positive perspective. That is why positive affirmations are imperative. They are the catalyst for change. In fact, they are defined as simple, positive phrases that an individual repeats to themselves, with full belief that it is the case, whether presently true or not. The purpose of repeating affirmations is to build a sense of self-confidence. You use these phrases to tell yourself what you want or where you want to be in the future. Even if you do not currently believe the phrase at the moment, with practice you will. Positive affirmations remove negative thoughts and replace them with more positive, good feeling ones. An easy way to see affirmations working in your life is to create a list of areas in your life that you’d like to see improve. Write down thoughts and beliefs you have about each area. When you ready, begin writing more positive statements. Even if you need to take small steps and write a series of positive affirmations until you reach your goal – that’s okay. Everyone is different, and you know yourself best. When you feel really good about a particular affirmation you’ll begin to see the results in your outer world. Many times people get excited about affirmations and want to use them but have a hard time coming up with their own, so they give up. These are the exact people that need them the most. Typically, when a person has trouble coming up with a list of positive affirmations it is because they have extremely low self-esteem and have trouble seeing anything positive about their lives. 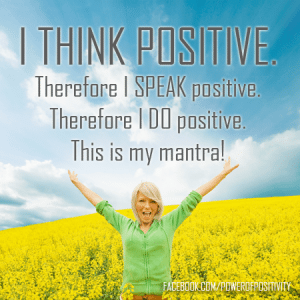 If you are new to positive affirmations the best place to start is following the leaders like Louise Hay. She has phenomenal simple affirmations that will help you without having to write your own. Choose her affirmations that resonate with you. Louise Hay is a truly inspiring woman and has blessed and change the lives of millions. She is the founder of Hay House and is one of the top motivational authors in the world. I personally have her books, dvds, affirmation cards and itunes apps. I love all of her products, but especially the apps because they are so handy and I can access her material right from my phone. I’ve been using affirmations for years now to transform my life, and I would also be happy to help you. Please feel free to comment below about the area in your life that you’d like to see more abundance. 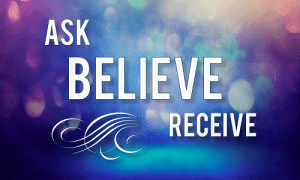 I’ll help you craft the perfect affirmations. I feel my purpose here is to help others change their life and overcome obstacles to live their best life. I’d also love to hear from you if positive affirmations have changed your life. I love connecting with like-minded individuals, and I love hearing others success stories. For me personally, affirmations have helped me to release weight (a lot of it too), overcome depression, dramatically increase my income, live my passion, improve all of my relationships, have a natural, drug free childbirth (my proudest accomplishment by the way), conquer panic attacks, and love myself more. My list could go on and on. So, when someone tells me that positive affirmations do not work, I know that they just aren’t truly making them a conscious daily habit. I’ll be writing more about the benefits of positive affirmations and specific ways to make the most of them next week. Please do post your comments below – I am looking forward to hearing about your journey and success! PS: You can also quickly find simple positive affirmations by category here.